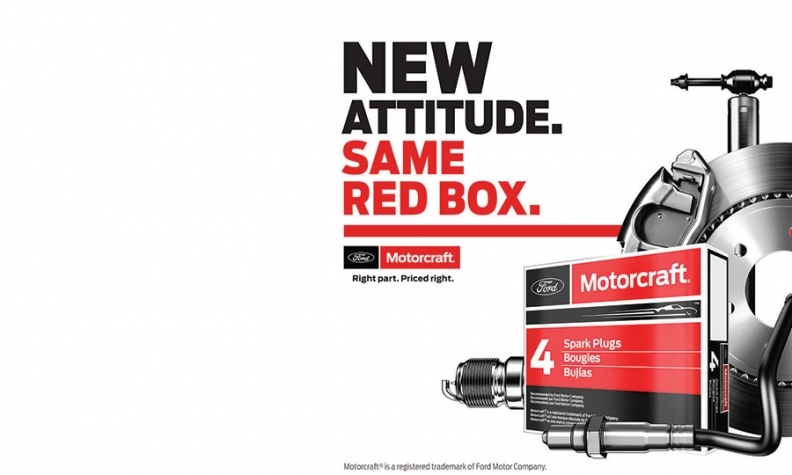 To tout its changes, Motorcraft's ad budget increased 60 percent from a year ago. DETROIT -- Motorcraft, Ford Motor Co.'s parts brand, is rolling out a host of updated products and expanded service as part of a major redesign meant to boost dealer sales and cut their inventory costs by tens of thousands of dollars. Executives spent the past year studying how to improve the profitability of their dealers' fixed operations departments. The result: a massive reduction in parts complexity, price cuts to a wide swath of items, and expanded coverage for older model-year vehicles. "There's a whole new attitude at Motorcraft, and we're looking at everything from top to bottom," Brett Wheatley, executive director of North America Ford customer service division, told Automotive News. "We've been around since 1972 and have made tweaks along the way, but reducing complexity hasn't really been in our vocabulary. That was a big, big change." In one instance, Motorcraft cut 400 unnecessary shock parts, a 32 percent reduction that slashed the average dealer's inventory cost by about US$20,000. In another example, the brand cut the number of oxygen sensors it offers from 24 to one. "We're doing it across the board on all of our product lines," Wheatley said. "We've redesigned the product to have less overlap. Some parts have been a total redesign." Wheatley: "A big, big change"
Motorcraft is also cutting back on costs. For example, it shaved the price of its brake pads by 15 per cent. Wheatley said that, in the first few months since the change, brake pad sales are up eight per cent. "It really gives us confidence with the brand that we have. If we really get the right product out there priced right, and make sure those parts are available to our dealers and the aftermarket, we can really succeed," he said. The brand also beefed up the amount of parts it offers for cars built in the early 1990s. It's an attempt to grab a bigger slice of the estimated 45 million Fords and Lincolns on the road today. "It's been a big profit opportunity for [dealers], not only in the fact that they're able to take care of more customers with the older model years, but if you think about all the used-car reconditioning ... it makes a lot more sense for them," Wheatley said. To help communicate the changes, Wheatley said, Motorcraft is spending the most it ever has on advertising. Although he wouldn't provide specific financial figures, he said its ad budget increased 60 percent from a year ago. Motorcraft is slapping its logo and message on everything from coffee mugs and mouse pads to magazines and TV commercials. It's continuing to sponsor NASCAR's No. 21 car, and Ford service spokesman Dwayne "The Rock" Johnson will name-drop Motorcraft in upcoming national TV ads. The changes are still so new that many dealers haven't had a chance to see the results. But Denny Fruth, general manager of Friendship Ford in Bristol, Tenn., said he likes what Motorcraft did, especially with price reductions. "If we have a more reasonably priced part, we can be more competitive," he said. 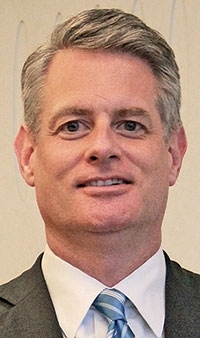 Fruth said his dealership just placed its first order since the change, and is hoping to buy more from Motorcraft as opposed to third-party auto parts stores. "Any time I can order something from the factory and order in-house instead of paying an aftermarket company, I'm happy," he said.